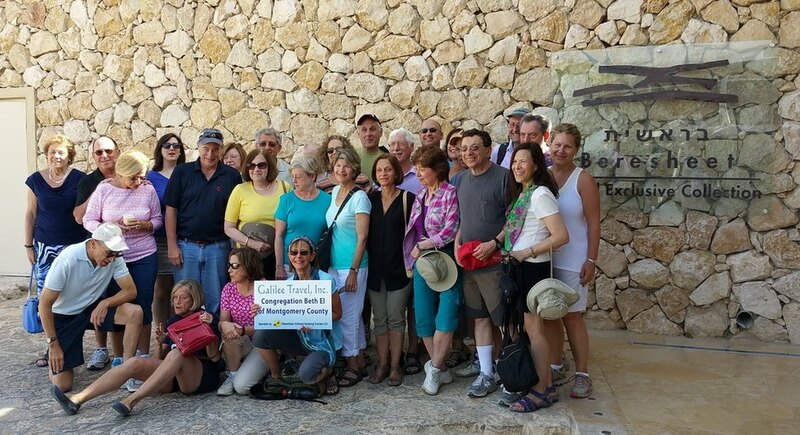 Trips to Israel - Galilee Travel, Inc.
We have had the joy of booking two recent Israel tours with Ofra at Galilee Travel. 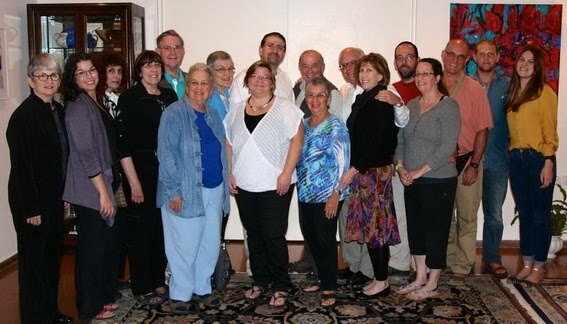 Ofra has been very accommodative with our schedule and very knowledgeable on the offerings of the land of Israel. 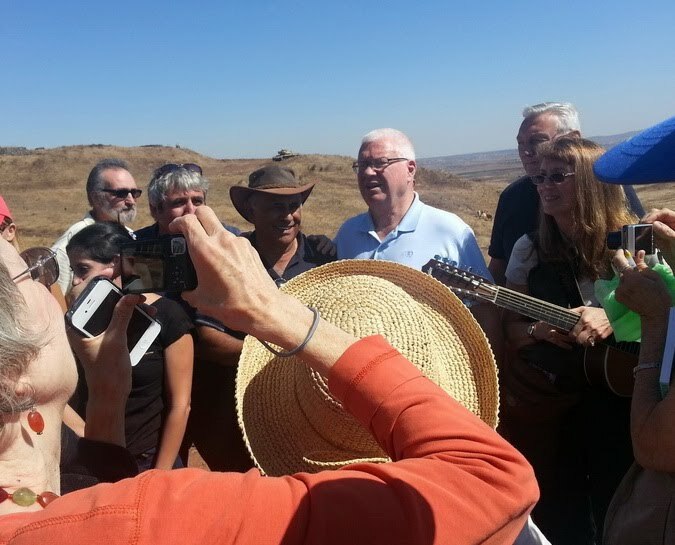 We have booked many pilgrimages in the past with other tour companies and none have come close to the care and understanding in which Ofra gave us. She treated us as if we were the only tour she was working on and we were always her number one priority. On the first tour we booked with her she met us at our hotel to ensure the accommodations, transportation and itinerary met our expectations. The following trip we received check in calls from her. 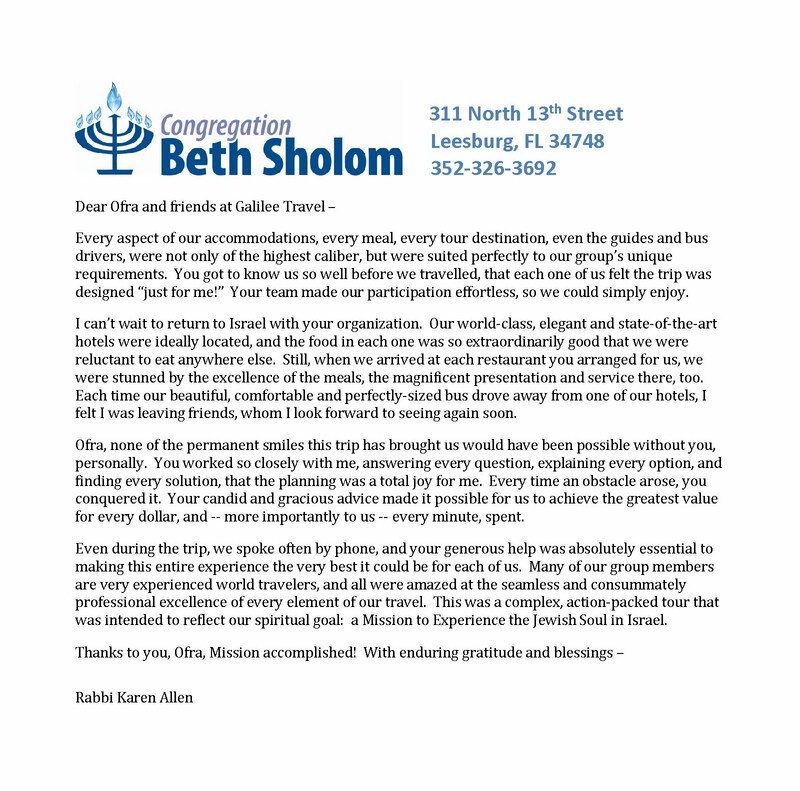 We highly appreciate the level of excellence Ofra and Galilee Travel operate with and we are very excited for our next trip that we are booking with her now. 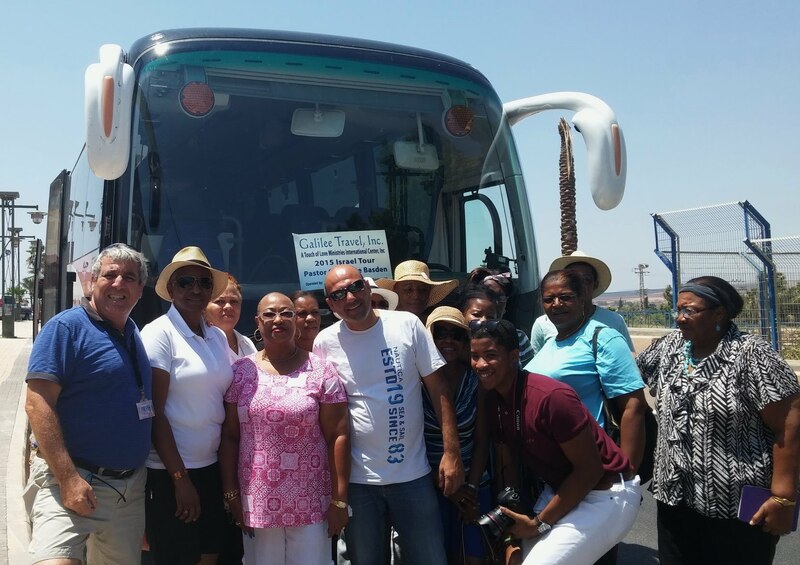 Thank you Ofra and Galilee Travel we look forward to many bookings with you in the future!